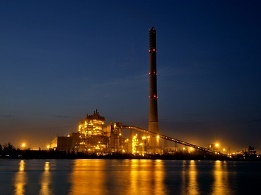 India is the sixth largest in terms of power generation. About 65% of the electricity consumed in India is generated by thermal power plants, 22% by hydroelectric power plants, 3% by nuclear power plants and rest 10% from other alternate sources like solar, wind, biomass etc. 53.7% of India’s commercial energy demand is met through the country’s vast coal reserves. Availability of coal for TPS is very vital. Any study on ratio of domestic to imported vis-a-vis national scenario?